Air jet yarn creates a smooth, low-pill surface for printing. Double-needle stitching throughout. 1x1 ribbed cuffs and waistband with spandex. No drawcord for added safety, double-lined hood. Soft and durable. Pocket and hood ensures your hands and head stay as warm as your body. Great for colder weather. Generous fit. 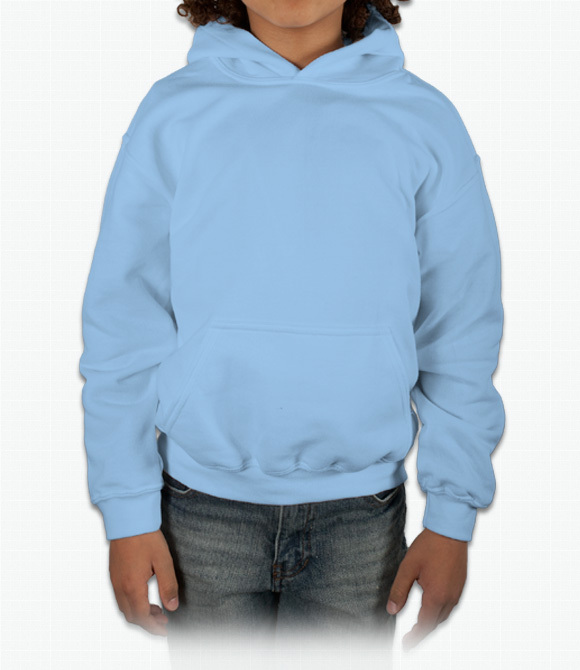 "I have used gildan sweatshirts for my previous teams and they always hold up to anything we have thrown their way. Great product that I can buy with confidence." "I bought a youth Large thinking it would be big on him and he would be able to wear it again next year. No, a youth Large is smaller than normal. He will only be able to wear it this year. Other wise the shirt itself is fine."